So The Legal Genealogist is getting ready to head off to Maine this weekend for the Maine Genealogical Society’s 2016 Annual Fall Conference in Brewer and, as usual, decided to delve into that state’s early laws. And immediately ran into a snag. Because there aren’t any early Maine laws. Oh, it wasn’t all that much of a lawless frontier in the early days of the Republic, no. It’s just that … well … it wasn’t a state in the early days of the Republic. Before 1820, well… that’s a different story. Because, of course, before 1820, the area that today is Maine was part of Massachusetts. Or… well … maybe part of New York. Or both. You see, in the 1600s there were mostly competing claims to parts of what is today Maine. The best early reference is the Maine Historical Society’s Province and Court Records of Maine.12 A now-four-volume set, this reference set covers all of the surviving records of the courts of the day (1607-1691, that is) — and it really was the courts that ran the show. There was a lot of jockeying for control during that time, with land grants for parts of Maine being issued by local nobility in Maine, by the colonists in Massachusetts, by those in New York, and don’t forget the French. Finally, the English got their act together with a totally new charter for the Massachusetts Bay Colony in 1691, and that put Maine under the control of Massachusetts as a district of the Commonwealth of Massachusetts starting in 1691. But only until 1820. When Maine started passing its own laws. Just remember, though, that the very earliest Maine laws … aren’t in Maine at all. I have to tell folks all the time when researching ancestors in Maine, New Hampshire and even Massachusetts to pay attention to the history and the border changes. Parts of New Hampshire were Norfolk County, Massachusetts, which is now south of Boston! York County, Massachusetts is now Maine, but not until the 1820 Compromise (which is a long story in itself!). Check everywhere for records! 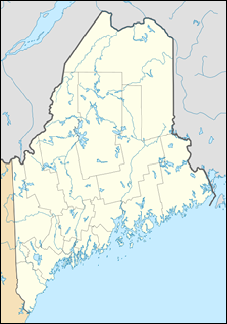 Even my dear Nutfield, which is now Londonderry, New Hampshire, was a grant of land from the MASSACHUSETTS governor Shute to the Scots Irish in 1718. Governor Wentworth of New Hampshire incorporated this land as the town of Londonderry in 1722 So where do we find those records? That’s my state and research specialty. Don’t forget to start your pre-1820 reseach in Alfred, the York County seat, York being the oldest county in the state and home of some of the earliest tangible deed transactions. Town histories are as important as the vital records themselves sometimes – with all the tug and pull over lumber and land, almost every town in the state seems to have lost records to fire, flood or carelessness. This state certainly has its challenges, but when you unravel them you begin to appreciate that which makes this state so great. It makes me wonder — why WOULD someone try to take a dead body to collect a debt? How prevalent were attempts to do so??? Such a law is still found in Washington State statues. Every person who arrests, attaches, detains, or claims to detain any human remains for any debt or demand, or upon any pretended lien or charge, is guilty of a gross misdemeanor. 3. The preventing a dead body from being buried, is also an indictable offence. These were punishable by statute. There may be something in Blackstone’s Commentaries but I don’t have time to search it right now. I love these ancient law books for solving things. We all understand what it means, Doug. The question is, how common was it to actually try to grab a dead body to collect a debt? In other words, why was such a law enacted in the first place? In brief, I suspect it is a very old law from the parent Massachusetts law code related to a feudal practice in Europe that permitted a creditor to seize the body of a debtor. Kanavan’s Case [1 Me 226] is mentioned as a citation of related case law dealing with arrest of dead bodies, so someone may have tried it in Maine. A Google Book search for “arrest of dead bodies” yields some interesting references. Maine Laws vol 1&2 : vol 1 pp 92-99 or so (I used a different e-version) discuss not moving a body without the Sheriff or Corner, as in a suspicious death. Also discussed trade ship wreck – holding a body/bodies in lieu of payment for debts that are owed, or until restitution is paid to the owner(s) of the ship by the company that insured the vessel? Am I close? That’s where I lose part of my maternal ancestors for a time. Edward KING and Mary SCALES were from North Yarmouth, Cumberland, MA [now ME]. All nine of their children were born there. My ancestry follows their youngest son, Eliab. Eliab [Jr.] marries and has several children there, but somewhere along the way he’s lost until his death in Newport, RI. His next to the youngest son, Edvardus KING, was born in New Boston [Gray], ME , RI in 1784. The youngest, Nicholas, was born in 1787, location uncertain. He married and died in Newport, RI. Eliab III married a girl from Albion, ME, in Newport, RI, and they both died there. I need to learn more about that area in Maine to locate Eliab [Jr.] before he removes to RI.